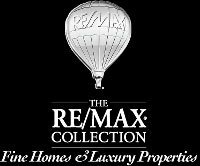 Thomas Waite joined the Re/Max Real Estate Group after an extremely successful life in building and construction related services, initially in England (UK) and then for the last 20+ years in Turks and Caicos Islands. A professional attention to detail and fast, reliable service propelled his businesses into multimillion dollar companies. Thomas has been in the Turks and Caicos Islands since 1993 and holds a Permanent Residence Certificate (“PRC”). Throughout the years he has been involved in nearly every major development on Providenciales and has an unrivaled knowledge of the property and development market. Whatever your goal, Thomas has the skill and personal experience to guide you carefully, and directly.